Transporting Tall Heavy Loads upstairs and downstairs is one of the most difficult challenges of transportation. In most cases two people have to tackle the goods. Back and joints are unduly strained and accidents happen more easily—the CargoMaster relieves your back and your wallet. 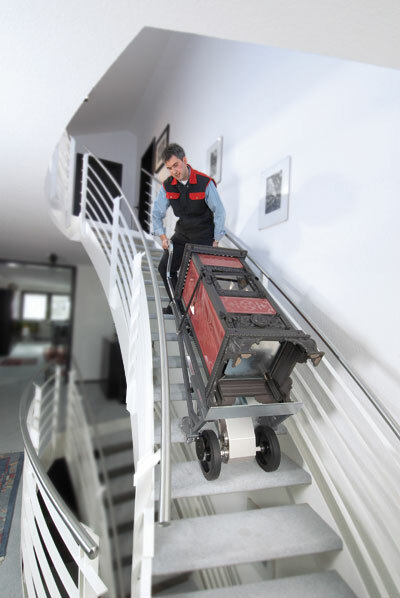 The CargoMaster A350 transports virtually all tall heavy goods over stairs with ease, speed, reliability and little physical power. 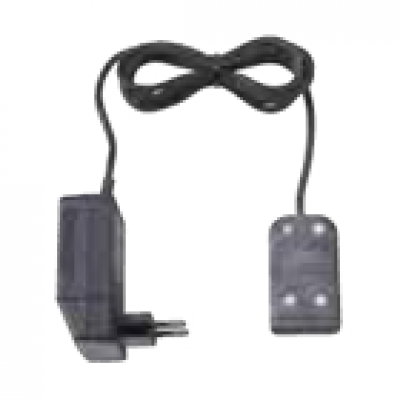 Generally one person is sufficient to operate the device. The A350 is particularly suited to transport extremely heavy, wide and high goods. In such situations safety and stability are of the highest priority. The A350 is our special device for really heavy goods. 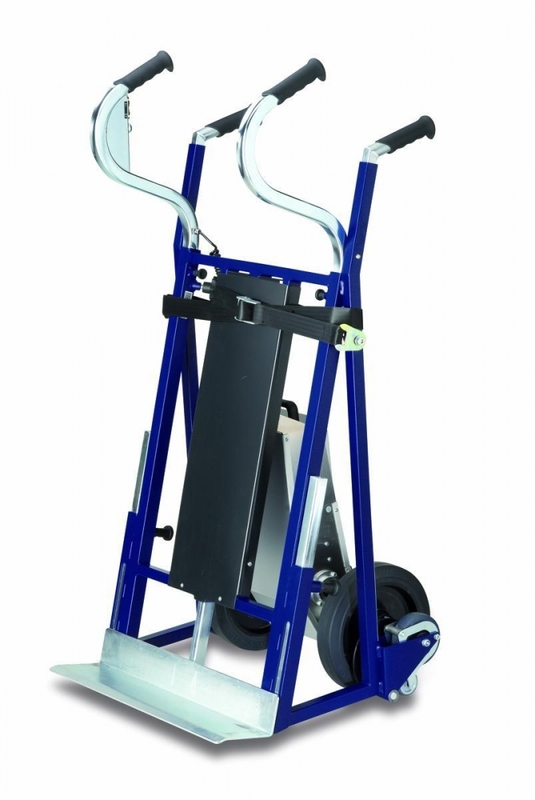 It transports loads up to 350kg and is therefore ideal for fridges, copier machines, cabinets, vending machines, safe's, Stoves, and much more. Due to the A350's grips which are adjustable in height and the adaptable plate, the A350 can be adjusted to the user's height and the respective situation of transportation. This makes it capable for extremely high goods to be transported. On level ground, you may also use the A350 as a pushcart. 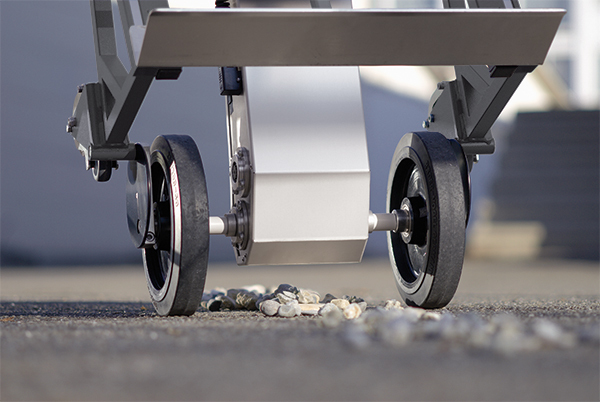 With inserted grips and a folded plate, the A350 can easily fit into smaller vehicles of transportation. 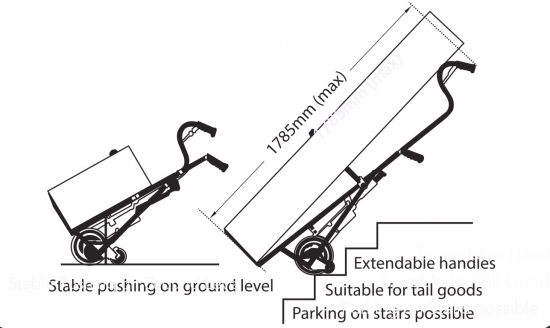 This model is able to park on staircases making it convenient for users if they need to stop at any point on the stairs to rearrange goods. 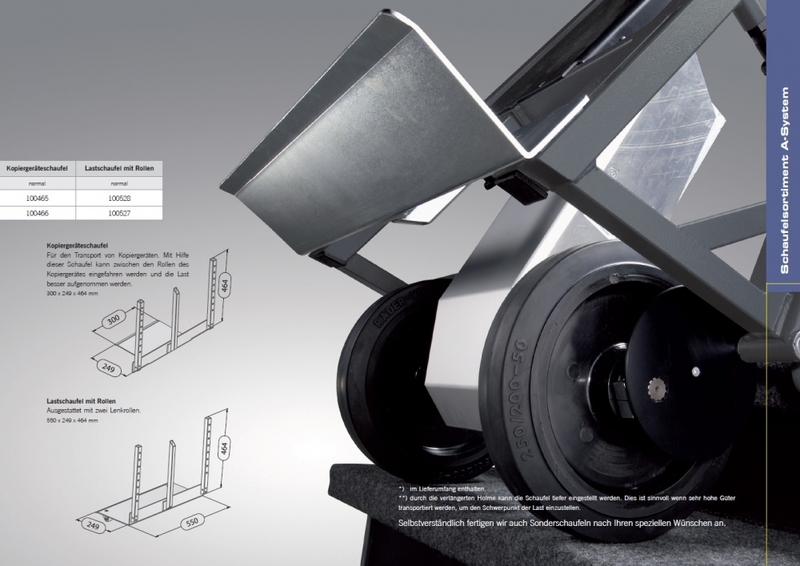 The range with the heaviest load lies at over 330 steps with one battery charge. 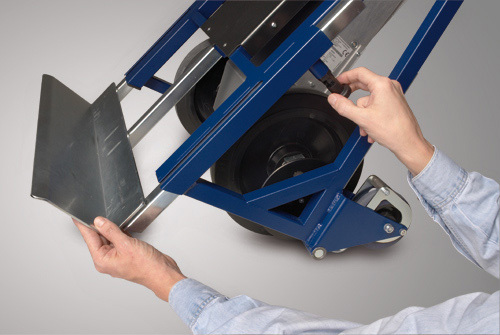 See the CargoMaster in action. 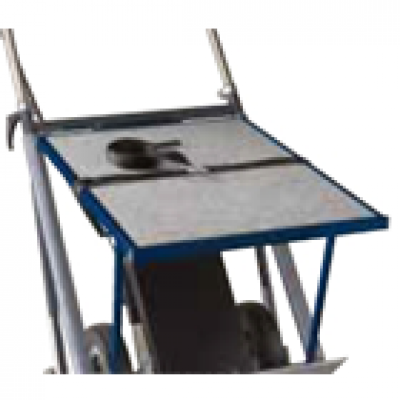 Videos describing the climbing process and how to use the CargoMaster. Vibrations The weighted RMS value of acceleration the upper body is exposed to lies typically below 2,5 m/s2. 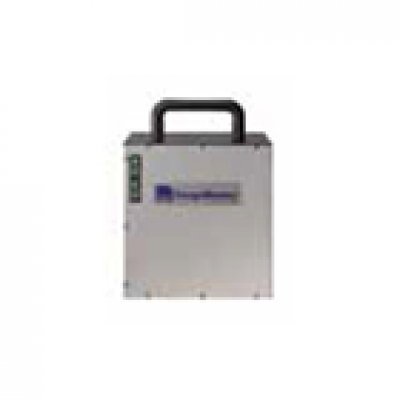 Additional battery pack for continuous operation. 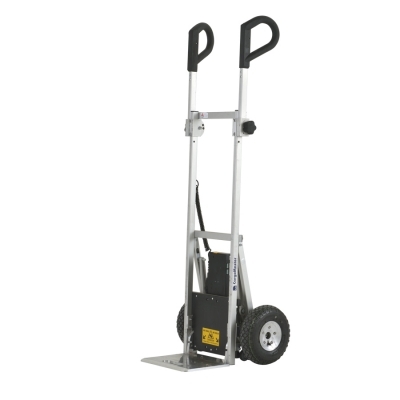 Available in 12 V or 24 V.
This vertical lift is simply attached to the CargoMaster A350. 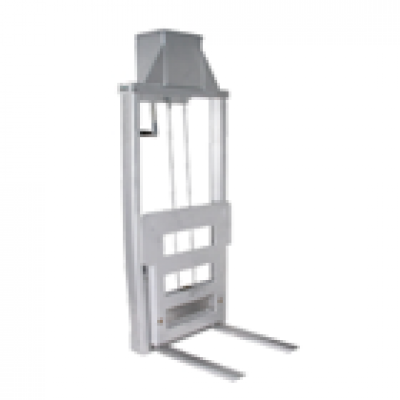 This way you can lift goods of up to 350kg up or down from shelves, etc. 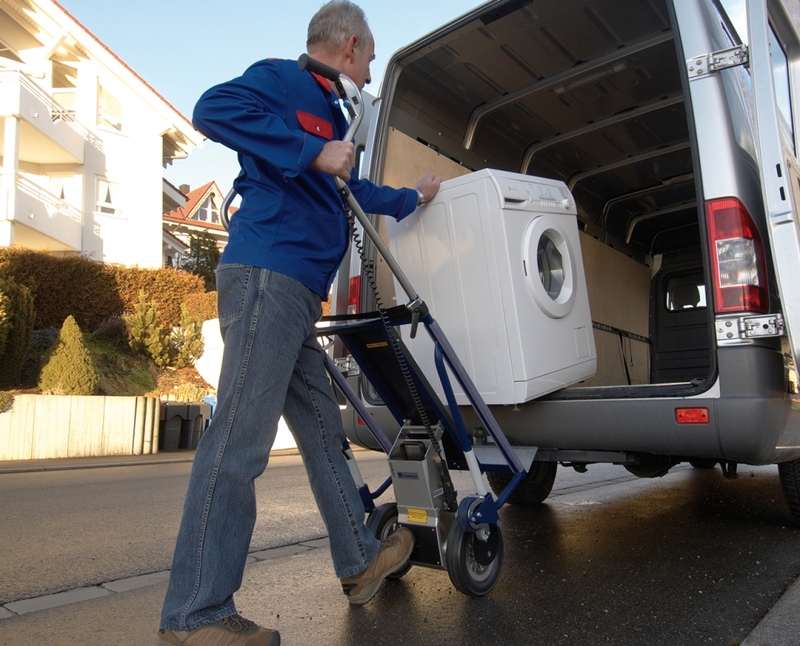 With a crank handle the load is lifted up to the desired height (max. of 65cm). 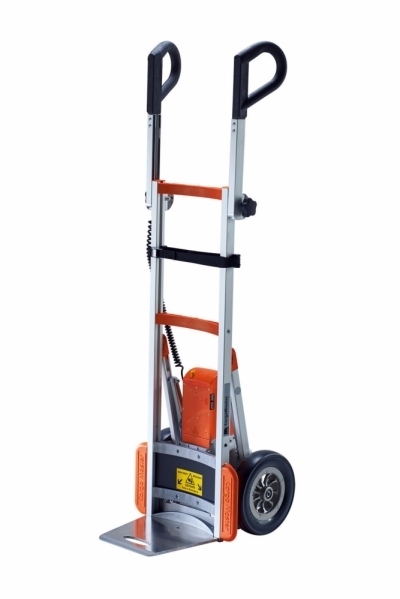 This is suitable to transport high goods. Easy assembly due to gripper clamps on the bars of the grips. 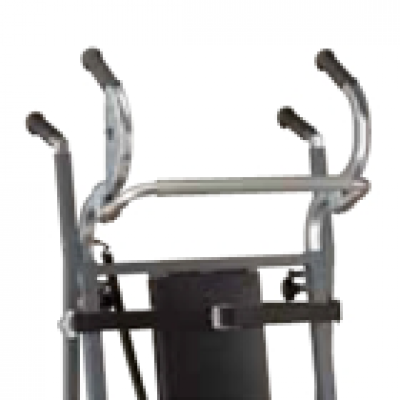 This helps to optimize the load‘s center of gravity for easy handling. 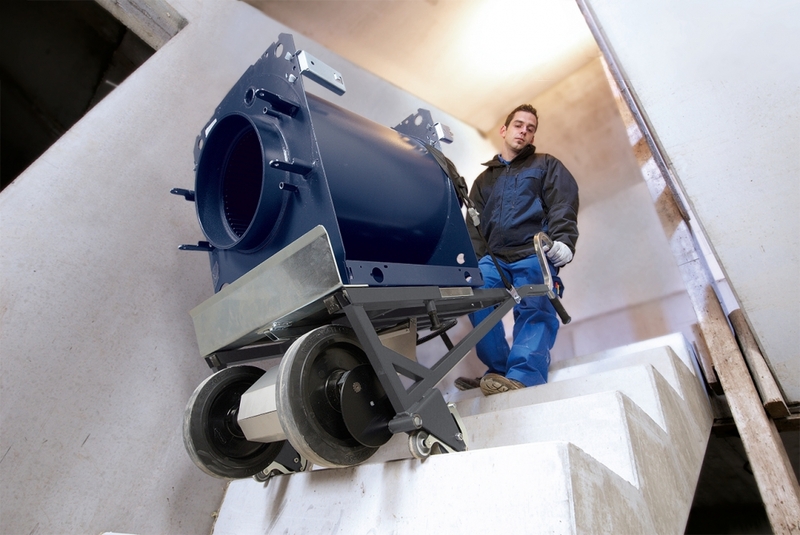 Support for round containers with a diameter of 150 – 800 mm. Easy assembly by inserting. Protects the load from scratching or sliding through. Available with a rubber or felt cover. For special horizontal transportation. Available with rubber or felt cover. Only after using CC200, I had less reliance on human labor. A job that requires 3 people before, and now only one person can do it. 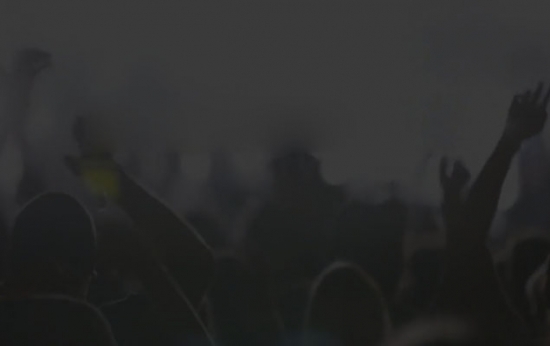 This allows me to better allocate staff to continue grow the company's business. CC200 it's awesome! Our staff used it once so far. They said it's the best decision we made! Stairclimbers have grown to be increasingly popular in this day and age because of the numerous benefits made available from these units. 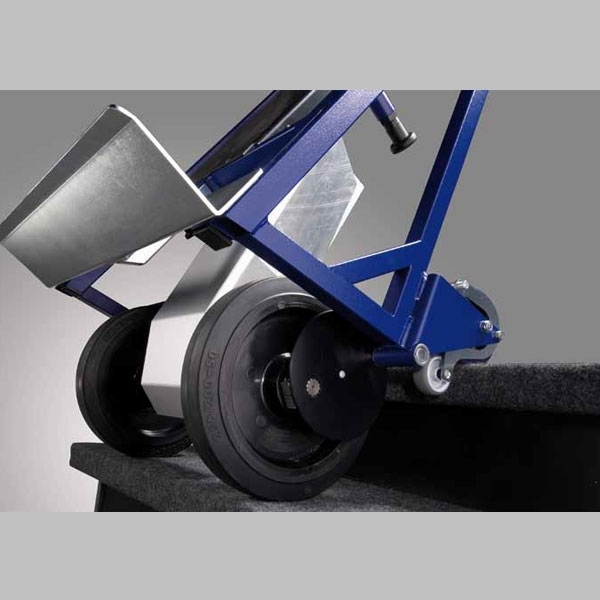 It offers the main benefit of moving heavy loads down and up the steps with ease. 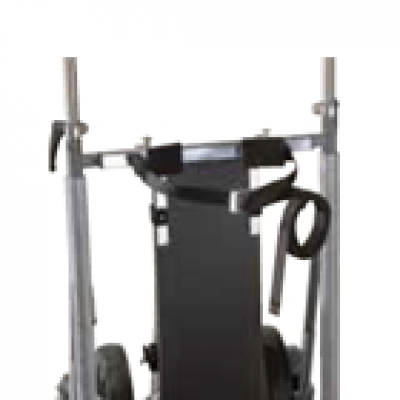 Whether you are a home-owner seeking to move heavy furniture upstairs, or a businessman seeking to transport heavy goods for the upper floor of your own building, a stair climber dolly could possibly be the best solution for your needs. 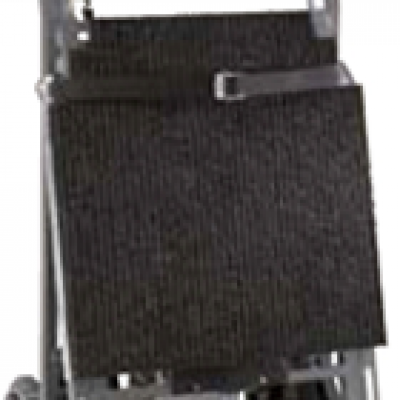 At AAT Asia, we offer a wide range of stair climbers from the CargoMaster brand, ranging from stairclimbing hand trolleys for transporting goods to personal stairclimber wheelchairs for rehabilitation, as well as stairclimbing wheelchairs for aviation. 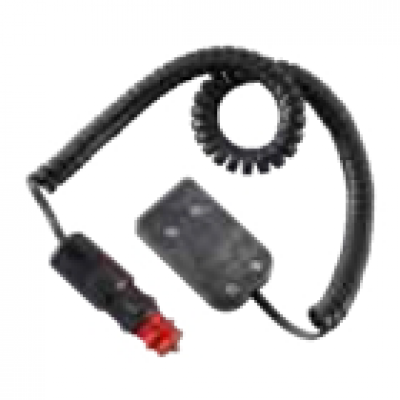 If you have any enquiries regarding our products, do either give us a phone call or send us an e-mail. AAT Asia is part of ATM Trading (M) Sdn Bhd -- a prominent and competitive name providing total business solutions in office automachines. 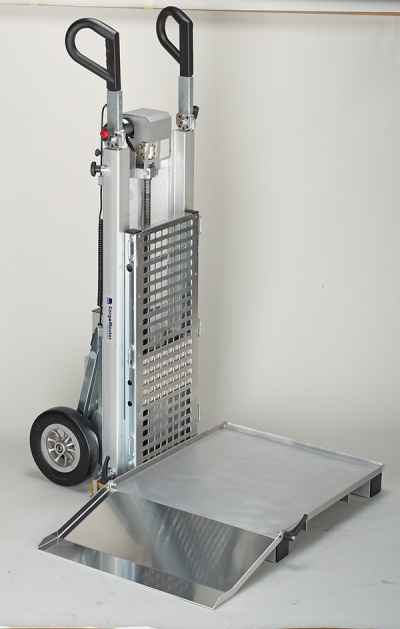 We offer a wide range of products including our latest division, the CargoMaster and Aviation wheelchair, after being appointed sole distributor of AAT Alber Antriebstechnik GmbH for the Asian region. Our vision for the immediate future would be to inevitably incorporate the idea of grooming our image towards a more concerned company with the intention of protecting this industry, as well as facilitating for customers' needs and wants.